Well the Caversham art trail is now over and the studio is just about back to normal after a hectic couple of weeks. I must say it was enjoyable meeting visitors and talking about my work and that of the other artists taking part. The most enjoyable part for me was doing the demonstration as I had such a lovely group of people listening very politely while I found out whether I could actually paint and talk about what I was doing at the same time! Although originally I was going to talk about painting animals acrylics I am now so far in to the fifty faces project that the natural thing to do was talk about portraits instead and we had quite an exciting debate over who should be next in line. As part of the demo I discussed technical details such as the type of paint and canvas I use, the brushes I select for each stage of the painting and how I usually do a scaled up, detailed pencil sketch before doing the final painting. Usually I spend far longer on planning a painting than on actually painting it as there is so much to consider. I love passing on my ideas about painting as I always hope it will get people to go home and try it themselves. One or two people who came were also painters and were happily joining in and sharing some of their own tricks and tips too which made it all the more enjoyable. This is how the portrait I started during the demo finally finished up. The distinguished lady is Liz Hodgkin, once mayor of Henley, who has been a mover and shaker in that town for as long as I can remember. She is painted here in her choir robes as one of her passions is choral singing. 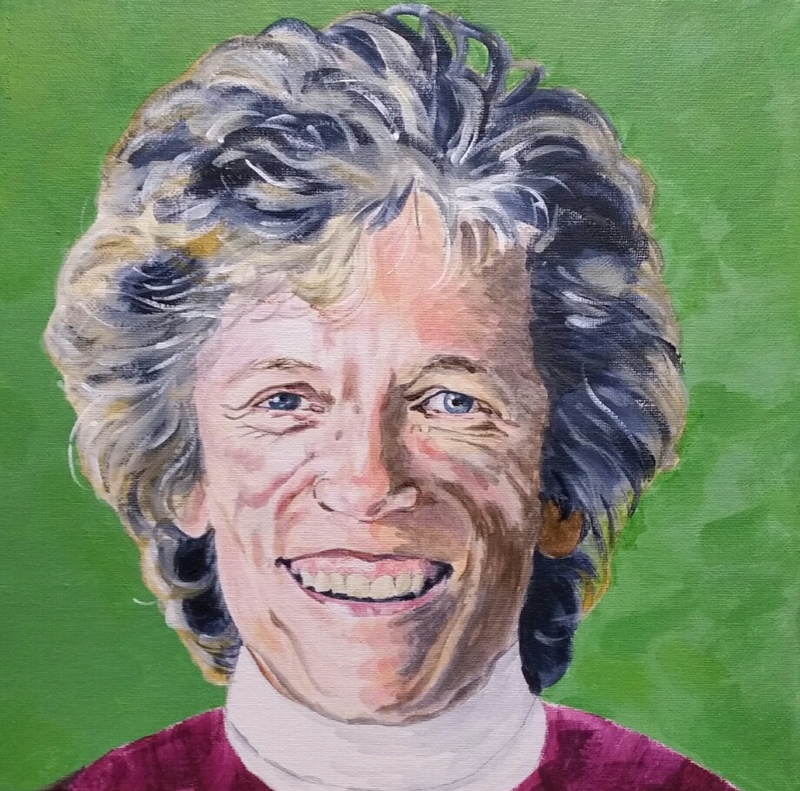 Another of her passions is gardening, including creating Britain in bloom displays around the town with her own green fingers, which is why I have painted her with a verdant background. 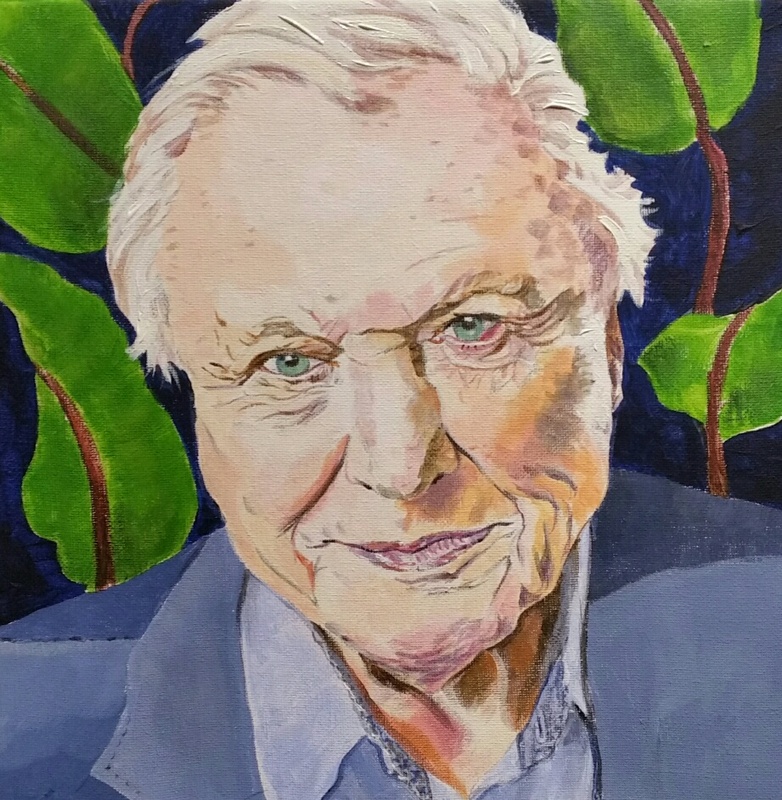 Yes, you guessed it, the nation’s favourite wildlife expert, David Attenborough, who shares his birth year with the Queen and is therefore also celebrating being forty years older than me this year! 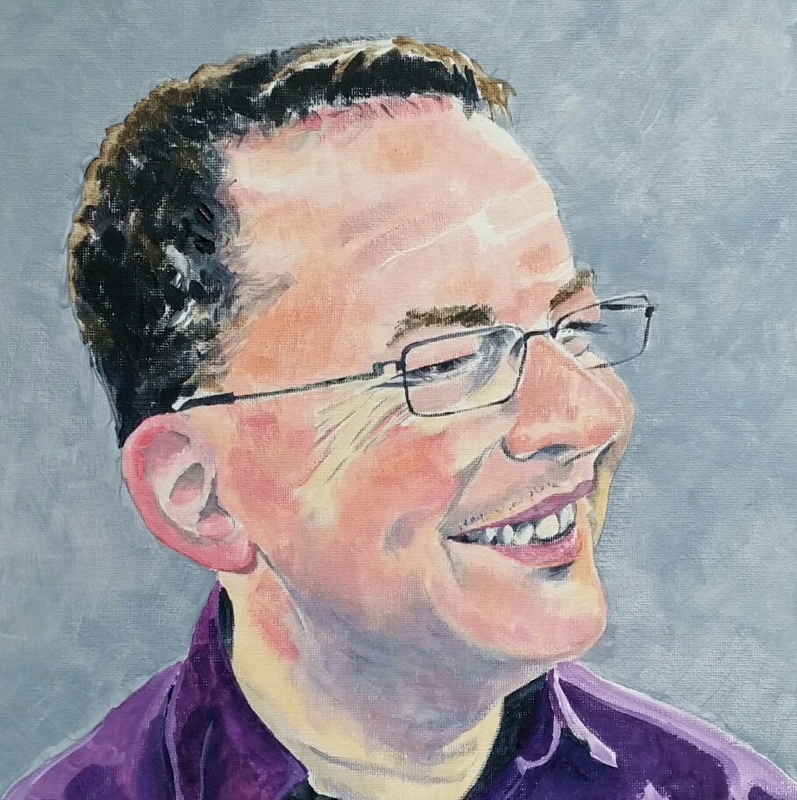 Now that the dust has settled slightly I have painted someone closer to home…my lovely husband, Martin Seymour. Martin is a musician and composer and also the Director of Music at All Saints Church in Marlow which has four resident choirs including many junior choristers which as you can imagine keeps him very busy. Of course, I know I am biased but I think you can tell from this what a thoroughly nice person he is. It was a good trail for me as I sold some paintings and had some robust political debates inspired by the growing crowd on my wall. Looking forward to next year and meeting more new faces. If you came thank you for visiting and I hope to see you back in 2017!